It is my pleasure to announce the commencement of the auditions for our annual play. This year, we will be performing [Perform type, e.g., The Merchant of Venice], one of William Shakespeare’s true classics. (Describe in your own words). The auditions will commence for the acting roles on (Date: DD/MM/YY) after the school ends while the auditions for the band will take place on (Date: DD/MM/YY). There will be ten major roles, along with a host of supporting roles and additional extras will also be required. Those who wish to audition can pick up the script from the student desk at the theater club. (Explain the actual cause and situation). Additionally, we require students to aid with backstage preparations and props, and they can directly enroll themselves in my office during the lunch break. Students who are selected for their respective roles will have to devote two hours every day for practice. Furthermore, you will be asked to attend practice sessions during the weekend for an extended duration. Those who are selected for the band will have their activities supervised by the Musical department. (Describe your requirements). For any further queries, you may visit my office at your convenience. I am writing this letter to inform you that we will be running production of (Institute/Theater name), the musical. 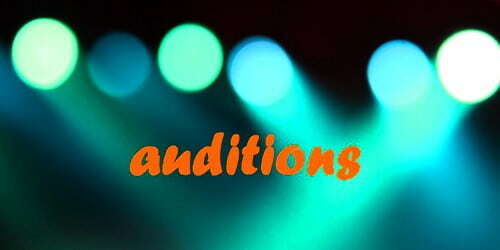 Auditions will commence on (date) at the College Amphitheatre from (Time to Time). Students interested in participating may collect a letter of absence from my office at their earliest convenience. (Describe in your own words). (Institute/Theater name) was originally an English production with heavy influences from a Pop group (name). Given the extensive focus on songs, students who have a good voice will be given preference. (Explain the actual cause and situation). All those interested can pick up a copy of the script from the Theater Club at the earliest. In addition, we require students to help out with props, costumes, and other backstage tasks. All those interested in such capacity can sign up at my office before the end of this week. (Describe your requirements). For further inquiries regarding the play, you can contact the Theater Club or visit me directly at my office.